Innovation Scouting & Sourcing - Munich Network e.V. You increase your speed of innovation. You save your own resources. You can discover emerging industry trends. You can discover unique talents with new competencies. You can rely on professional services for startup scouting, sourcing, and qualifying. You interact with pre-briefed startups. You expand your innovation network. The traffiX + logistiX Innovation Award 2019 honors the one startup which will replace todays traffic and logistic by providing groundbreaking technological innovation. Therefore, we are looking for startups which are able to satisfy user demands better by either working more efficient, by offering a more environmentally friendly solution and a higher monetary value to the customer. It´s up to you if it is operating on the road, on rails, at sea, in the air or in space. 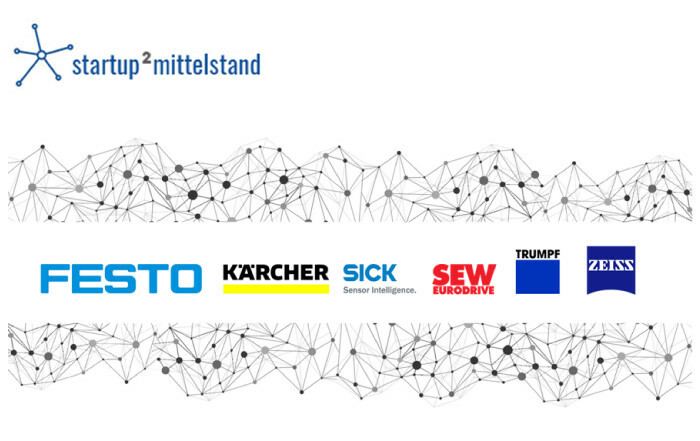 The six companies Festo, Kärcher, SICK, SEW-EURODRIVE, TRUMPF and Carl Zeiss are joining forces to reach out to the best startups worldwide. Their goal: Optimizing their HR and Procurement Processes using outstanding technologies. You think your startup will change the future in one of our focus areas? Then proof your service or product and get in touch with six potential costumers. Realize your ideas and solutions at Brose. The family-owned company continues to set standards with innovative mechatronic systems and components. That is why they are always looking for new solutions that increase driving comfort, safety and efficiency. Your company already offers innovative solutions for the kitchen and home of the future? Or you want to break new ground by conquering the home appliances market alongside a strong corporate partner? BSH Home Appliances Group is offering the most promising start-ups a platform to set a collaboration with Europe’s largest manufacturer of home appliance. If you are part of a startup that offers a solution in the field of Industry 4.0 and you are looking for the opportunity to prove and/or further develop your technology or solution in a 3-month supported and mentored pilot project, then this could be the start of something big. Audi Electronics Venture, a fully owned Audi subsidiary, and its affiliated companies are looking for partnering with highly ambitious innovation providers that aim at starting a collaboration with the AEV family and becoming a relevant player in the automotive industry worldwide. Submissions for the Rheinmetall Automotive Venture Forum, adressing startups that deliver innovative solutions answering future mobility challenges, are now open!